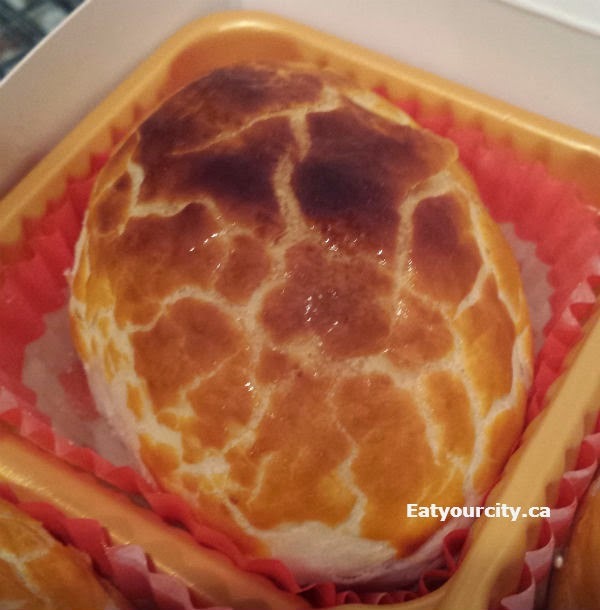 Eat Your City: Kam Do Bakery Richmond, Vancouver BC – best sweetheart cakes and Chinese pastries! And Its not a trip to Vancouver without a quick stop at Kam Do Bakery to pick up a couple of tasty salty/savory and/or sweet pastries to nosh on the plane and take back home. Along with the usual sweetheart or "old wife" cakes (see previous post about the history, stories and tastiness of this pastry here! ), this time around we picked up an assortment of other random and tasty pastries.. didn't take pictures of everything, well, mainly because we started eating them before they made it in front of the camera hahaha! Also, I'm providing rough estimation of names for them as I forgot to take pictures of the bakery counter labels. 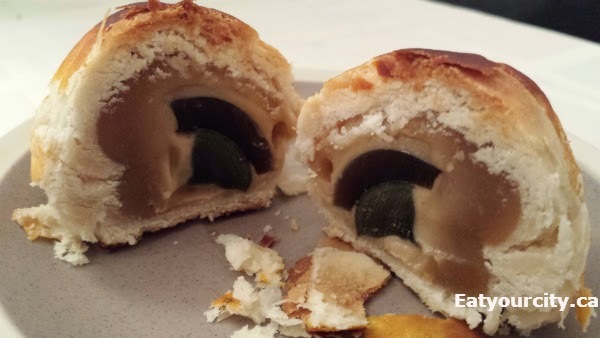 The preserved egg in sweetened lotus seed paste pastry instantly became a new favorite. 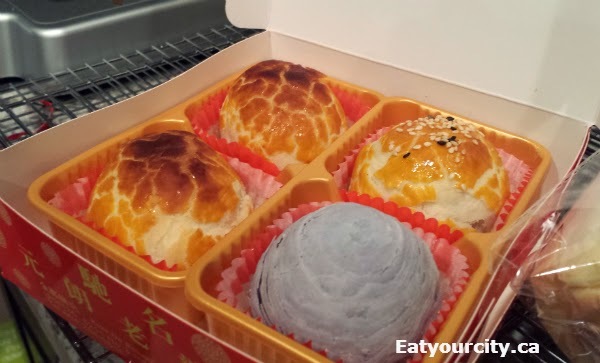 The combination of the unique flavors of a "thousand year old" or "century" preserved egg along side the delicate sweetness of the smooth lotus seed paste and light airy pastry was delightful. 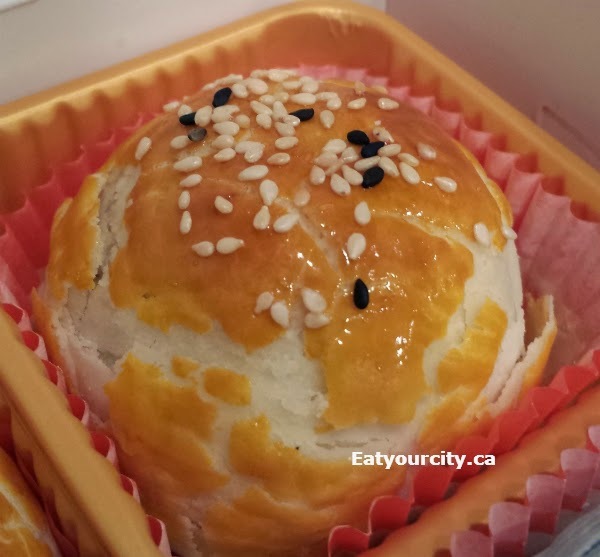 Its one of the more adventurous pastries here, and well worth a try! I honestly don't remember what this one was, other than it was tasty with a sweet filling.. will label the next time I'm back in Vancouver! 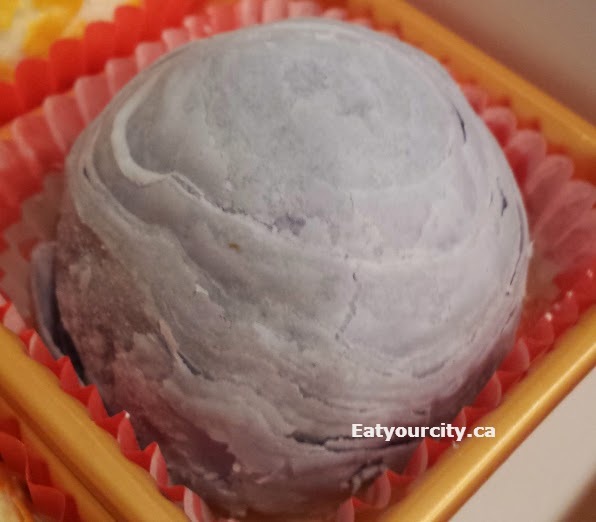 The Taro pastry was a ball of flaky pastry enrobing a center of purple tinged sweetened taro paste. Mmmm!